Because it’s not all about science and tech you know, we’ve been on a mission to map creative and cultural projects for social good. Now it’s time to introduce you to some of those creators fighting for a better future and more imaginative world – in person! ► British artist Marcus Lyon will reveal the beauty and diversity of identities. 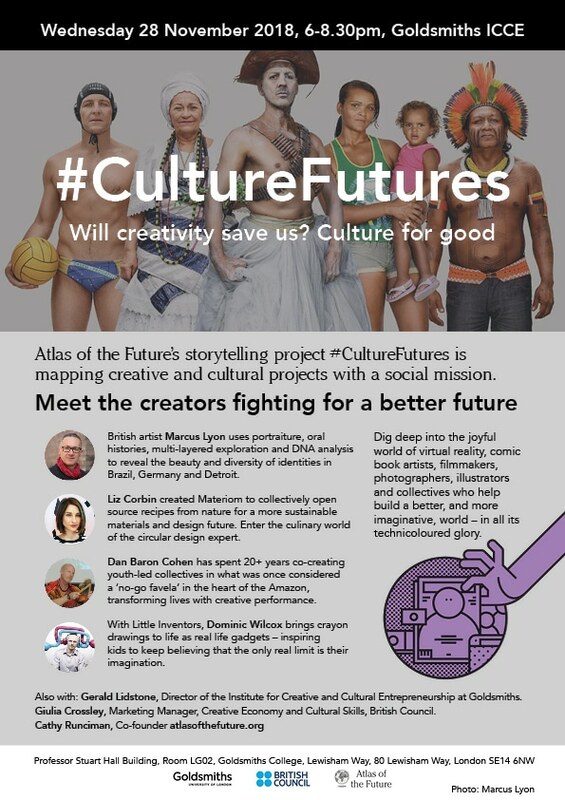 And check out our latest #CultureFutures additions here.